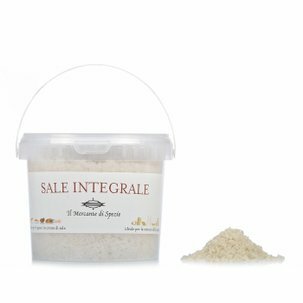 These exquisite salt flakes from the island of Cyprus and carefully selected by Il Mercante di Spezie are harvested by hand and then left to dry in the sun. Cyprus Salt Flakes have white and luminous crystals and are characterised by the presence of iodine and other important minerals. This salt is ideal for accompanying boiled eggs, fish, red meat and vegetable dishes. Ingredients Food-grade salt. For more information on product labels, please contact our Customer Service department. The information on the labels of the products may vary for reasons beyond our control, therefore, there may be discrepancies between the information on the site and that on the products delivered. Please always check the information on the product before consumption or use. Created by a team of passionate and professional people working in specialist restaurants, this company from Piedmont carefully selects spices from all over the world and combines them to create original and intriguing products: the mixes are created by hand without the use of artificial colourants or preservatives. Candied ginger, sweet paprika, Jamaican pepper, cannella regina cinnamon, habanero chilli salt, Madras curry mix...Ordinary everyday dishes will be transformed into something out of the Arabian Nightswith products from Il Mercante di Spezie!